Narrow foot placement on wide, ergonomic pedals create a more natural motion on the Freemotion e10.6 elliptical. This zero-impact cardio machine creates a continuous flow of movement with in-handle controls that control speed. Two heart rate monitors embedded in two, different handlebar options deliver heart rate readings in real time. A low, side entry to this elliptical makes it user-friendly for those with mobility challenges. 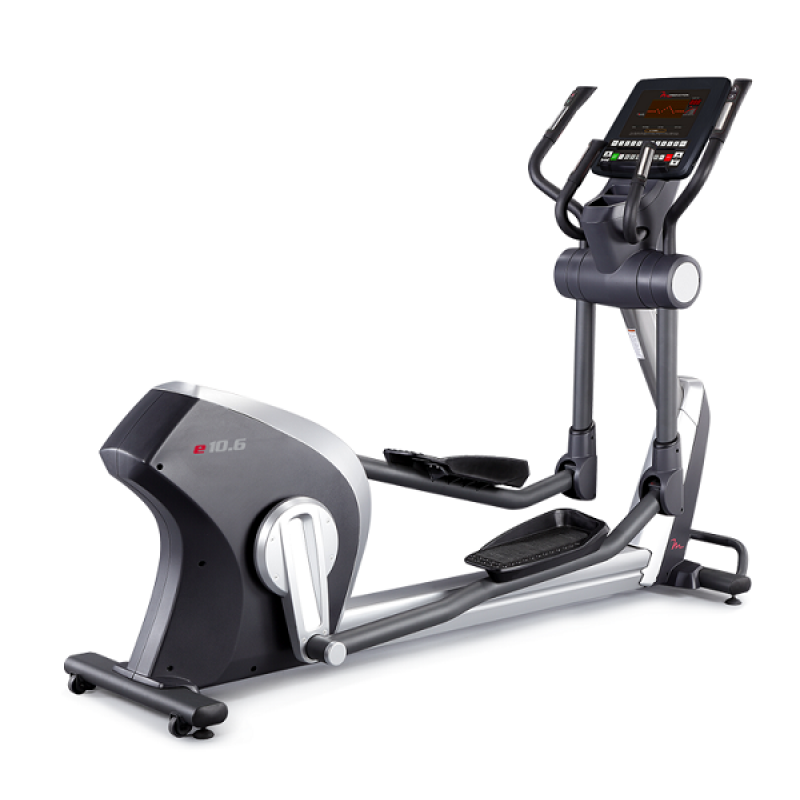 The intuitive exercise motion makes the e10.6 Elliptical approachable and fun to use.